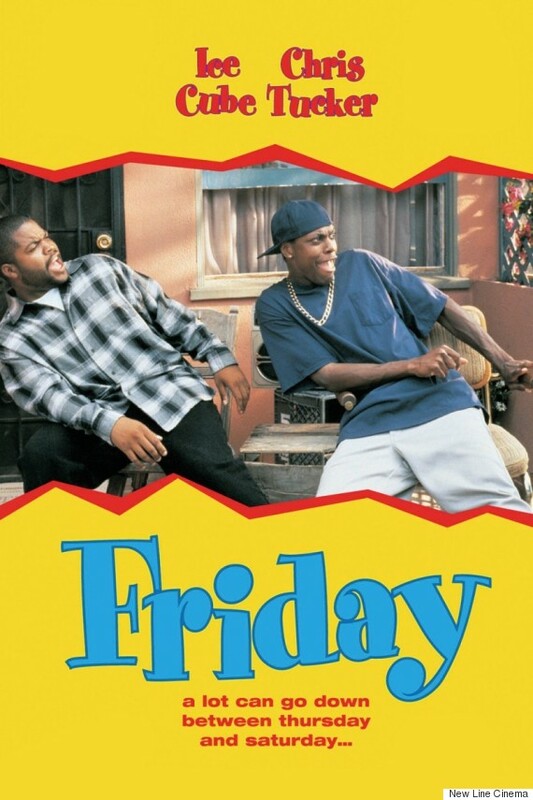 "It's Friday, Friday, gotta get high on Friday." Rebecca Black could have written her famous song about Washington state, and the habits of its people when buying recreational marijuana. Ice Cube could have made a movie about it, too. Friday is the most popular day for people to buy ganja, says a report from Headset, a Seattle-based cannabis analytics firm. Recreational marijuana buyers on average spent $31.18 on Fridays in August. Saturday was the second most popular day where buyers spent $30.21, and Thursday, when they spent $29.66. 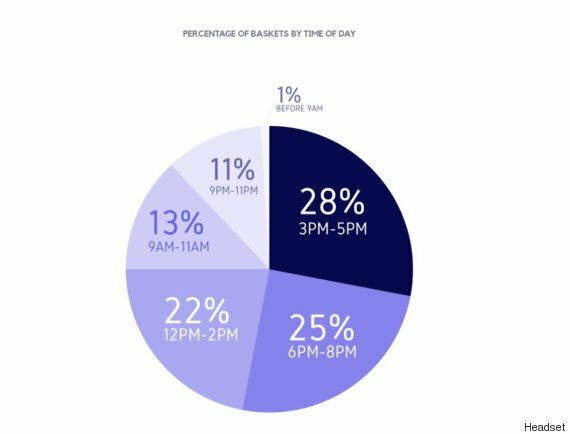 The busiest buying times came between 3 p.m. and 5 p.m., when 28 per cent of purchases happened. It was followed by the 6 p.m. to 8 p.m. time slot, when 25 per cent of buying took place. Headset conducted its analysis by obtaining data from marijuana shops' point-of-sale (POS) systems. It looked at sales in terms of "baskets," orders similar to grocery store shopping. This helped Headset account for purchases of marijuana-based products, such as drinks and edibles. All told, the average basket cost $29.64, with just over half of orders being single item purchases. 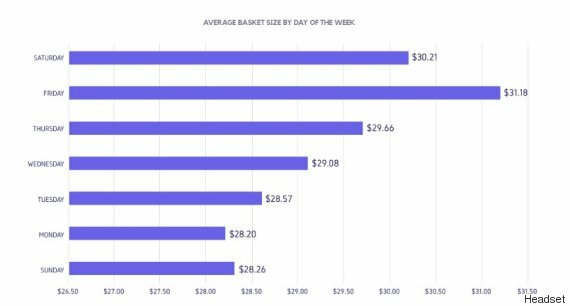 The median basket cost just over $20, "so it's clear that this average was driven by larger baskets," Headset says. Most baskets cost between $5 and $10, and these accounted for approximately one fifth of all orders. Baskets over $75 made up for about six per cent of all purchases — and most of these cost up to $100. 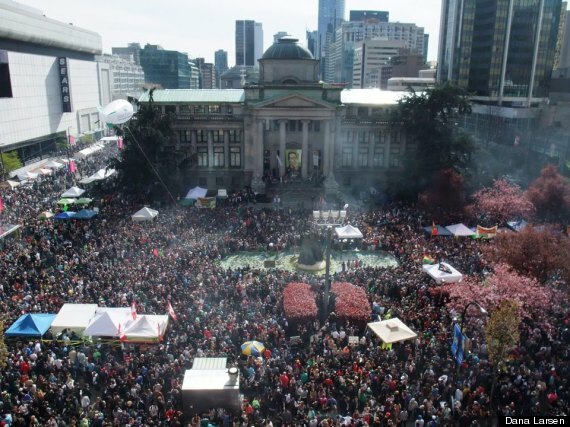 The report provides further insight into Washingtonians' buying habits as Canada inches closer to legalization. The federal Liberals have pledged to introduce legislation next year that would legalize the drug. It also comes month after another Headset study suggests Canadians, who are among the world's most prolific drinkers, don't spend nearly the same amount on booze as Americans do on pot. The median cannabis consumer in the U.S. spends about $850 per year on weed. Over 57 per cent of buyers spend over $660. That's more than the approximately $700 Canadians spend on alcohol annually. So maybe once it becomes legal, marijuana purchases could cut into booze budgets, especially on Friday nights.